Norway is known for its cascading waterfalls, deep blue Fjords, mountainous rock formations and a culture unlike any other, but what many people forget is that the land it sits upon is rich in ancient history, just waiting to be explored. With tall tales of Viking settlements, ancient UNESCO World Heritage sites and plenty of stories to tell, we discover the locations that hold all of Norway’s secrets. Built around 1130AD and sitting pretty in the foreground of the stunning Lustrafjorden is Urnes Stave Church, one of the finest examples of a typical Scandinavian wooden settlement. 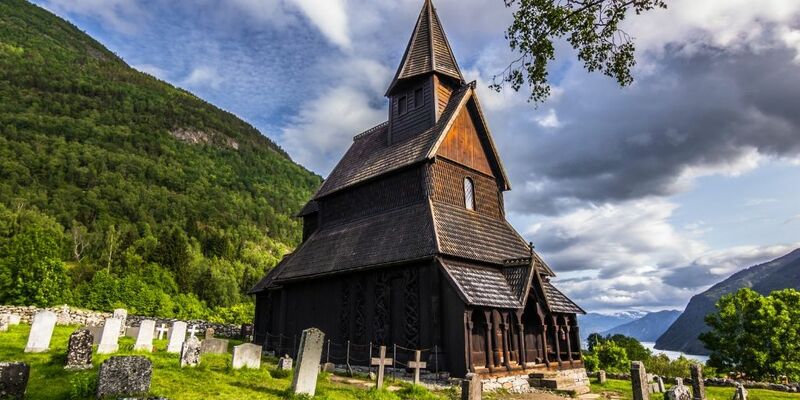 Named the oldest place of worship in Norway and a UNESCO World Heritage Site, it boasts some of the stunning ‘Urnes style’ animal figures delicately carved into the historic wood which is said to depict Norse and Christian mythology. To experience the true history behind Norway, a short boat ride from Flåm and a stroll around these sacred grounds is a must. This impressive rock formation has been a bustling spot for visitors to Norway for hundreds of years. 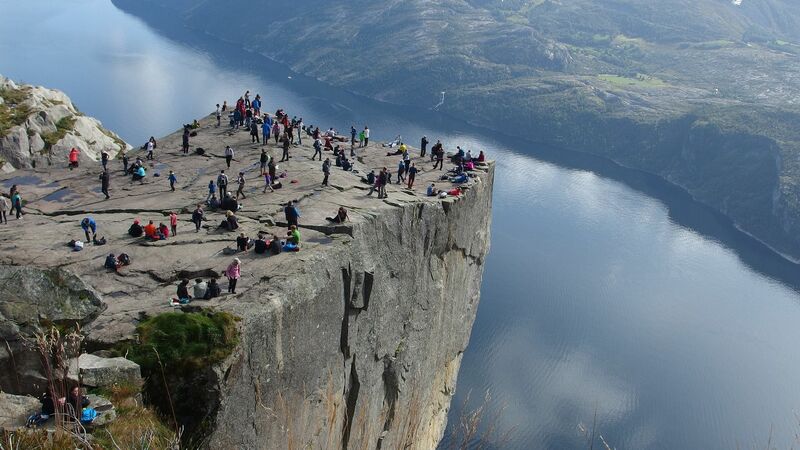 Preikstolen, also known as Pulpit Rock, towers 604 metres over the Lyesfjord and is said to be one of the most spectacular viewing points in the world. Protruding over the edge of the cliff, the plateau is said to have been formed by expansion of ice over 10,000 years ago and sits at 25m x 25m wide. Untouched by tourists feet until the 1900s this 4 ½ hour hike is now one of the most popular tourist destinations in southern Norway. Want to see Pulpit Rock from the comfort of a boat? Check out our Lysefjord shore excursion, marvel at the stunning landscapes that surround the huge rock formations. Considered one of the most famous Fjords in the world and the most famous water mass in Norway, Geirangerfjord is a sight to behold. The Fjord has a depth of over 260 metres and is surrounded by imposing snow-capped mountains intertwined with cascading waterfalls. Dating back to the stone age, this location attracts avid cruisers and thrill-seekers all year round. Spend your day in the surrounding villages or head to the lookout points for views you can only dream of. 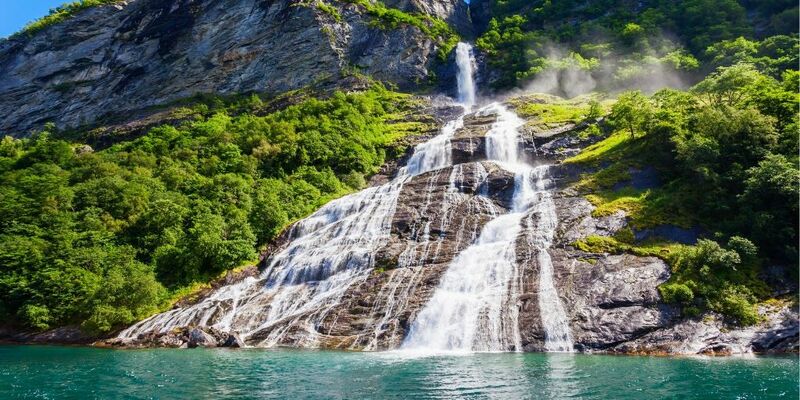 Sample local foods, get up close and personal with nature or see the famous waterfalls by boat, Geirangerfjord really encapsulates the beauty and history of western Norway. “I think the fjords of Norway speak a lot of Norwegian traditions and the mythical times of old. 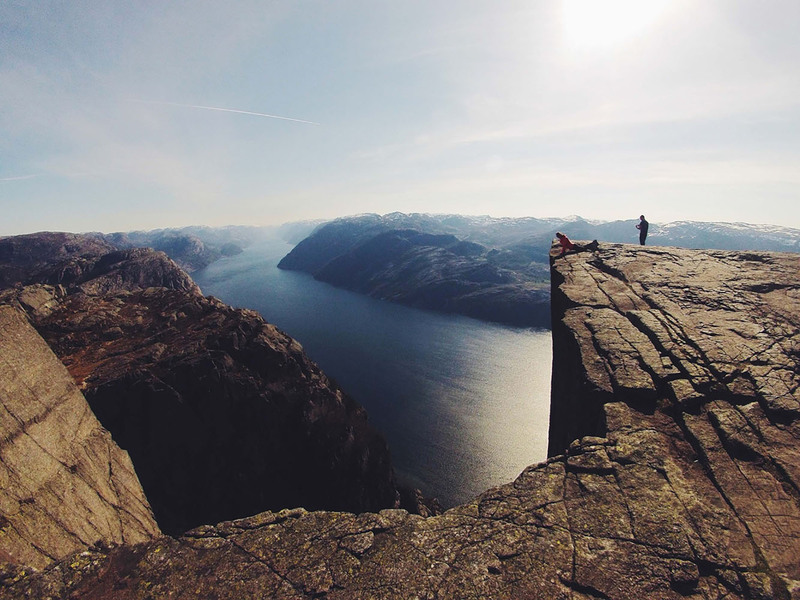 My favourite fjords have to be Geiranger, Lysefjorden and Hjørundfjorden.” Says Lars from Trails of Norway. “To the outside world, Bryggen is, first and foremost, a façade, albeit an iconic one. The tall and slim wooden townhouses standing gable to gable along the quayside, seemingly leaning on each other, are instantly recognisable as a symbol of Bergen. What you don’t see from the street, is that today you’ll find potters, jewellers, artists, textile and leather crafters’ shops lining either side of the tiny alleys between the rows of historic houses.” Quotes Visit Norway. A district in the city of Bergen and re-built after the great fire in 1702 AD, Bryggen is now a UNESCO World Heritage site and holds a historic place in the heart of the city. With a history that dates back to roughly 1070 AD, it is still a working and vibrant port with merchant houses, bustling storerooms and a bustling trade community to this day. Rich in culture and a famous location not undermined by the shadow of its mother city, Bryggen has to be seen to be believed. “Another quintessential Norwegian town that I loved was Bryggen in Bergen. 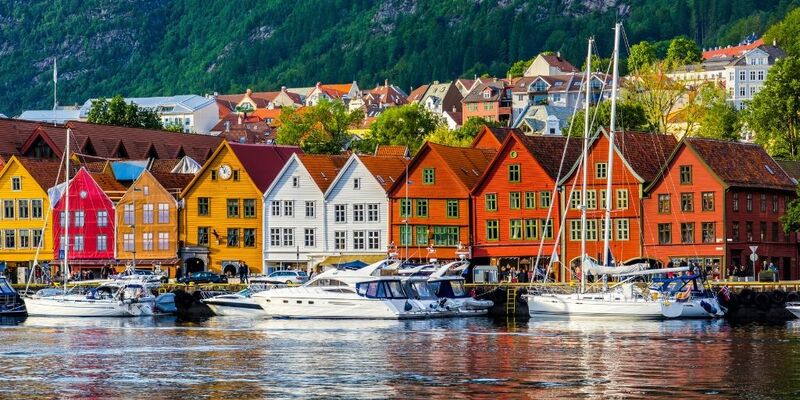 This UNESCO World Heritage Site features polychromatic houses that are perched perfectly on the Bergen waterside. It really looks like it has jumped out of a painting or postcard and is a top spot for photographers!” says Chrissy. “My favourite mythical place which I’ve visited in Norway would probably the idyllic town Balestrand, located in the middle of the Sognefjord. Although this town is quite small, the location is just magnificent! There are some amazing views from which you cannot get enough. 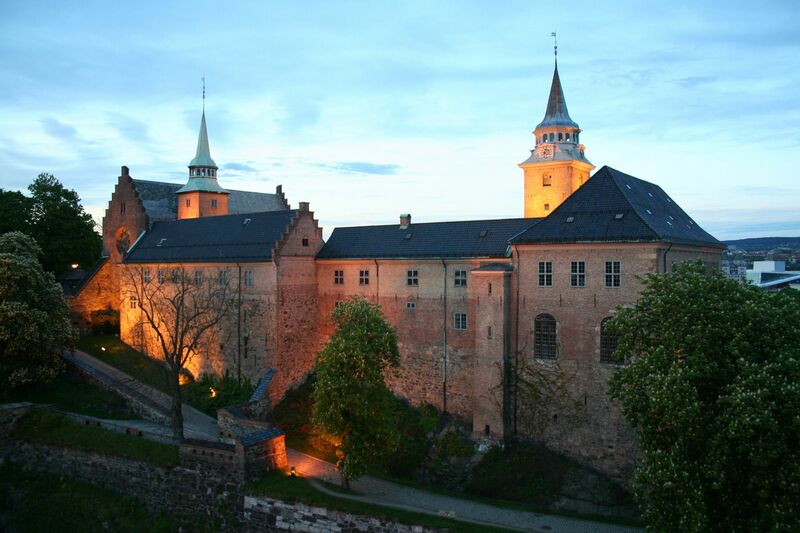 A medieval castle built in Oslo in the 12th century, Akershus Fortress was built for the noblemen of the city and has since replaced Tonberg as the most important Norwegian castles of the period. The castle was home to the Norwegian Royal Family after its completion in 1300 AD and again after the great fire in 1624 when King Christian IV made the decision to relocate to Oslo. Becoming a prison from 1920 and then as a military base in WW11. Today it is a museum that teaches visitors all about Norwegian history. If you want to revel in the real mythical heritage that Norway is famous for, then you need to head to the Viking Ship Museum. Situated in Oslo, you can see some of the best preserved Viking ships in the world. Experience a real sense of Viking life and get up close and personal to the vessels, inspect their intricate wood carvings and uncover the fascinating range of artefacts that were found alongside them. Norway is full of magical sights that have earnt the right to be called some of the most majestic locations in the world. When booking your next cruise, make Norway one of the locations on your itinerary and look at our last minute cruise deals for a price that you can’t turn down.